Indian Land homes for sale in Bridgemill. 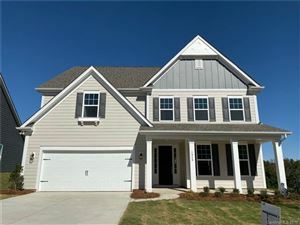 Bridgemill is located just 7 miles from the Ballantyne area of South Charlotte, NC. Offering resort style amenities and sidewalks, this spectacular new neighborhood brings fun for all ages to this peaceful setting of rolling wooded terrain. BridgeMill provides a private retreat for todays active lifestyles. The styles of homes vary in BridgeMill. Four and five bedroom plans are available with a range of square feet from 2450 to 4700. Amenities include: a lake, a pool, a clubhouse, tennis courts, a fitness center, playground and walking trails. Plus, every home is covered by Weilands exclusive 5-20 warranty, one of homebuildings best. Indian Land homes for sale in Bridgemill.